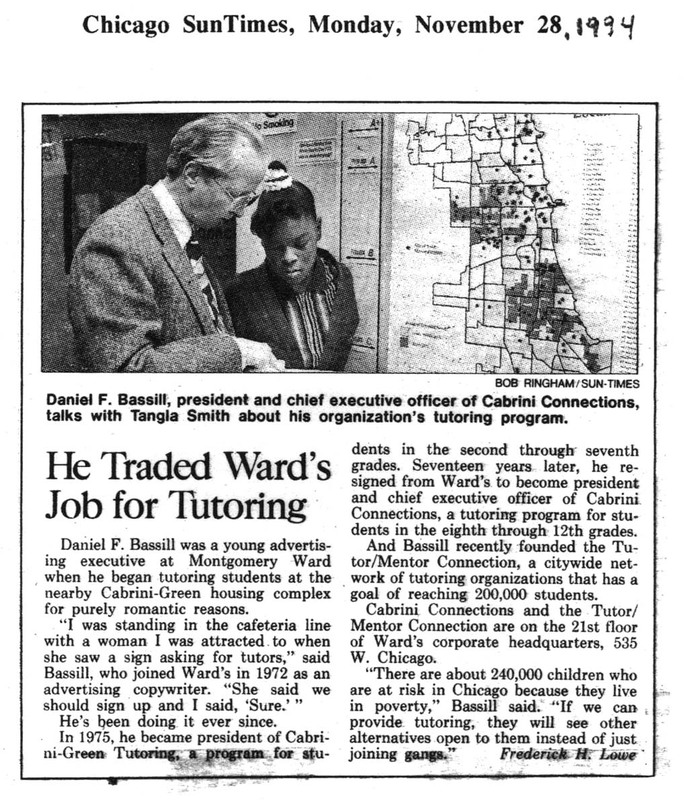 This story appeared in the Chicago Sun-Times in 1994 when I was first launching the Tutor/Mentor Connection. It's one of many stories that have been written since then. 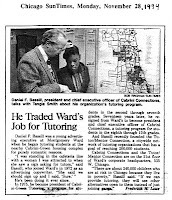 See an archive on the Tutor/Mentor Institute web site. 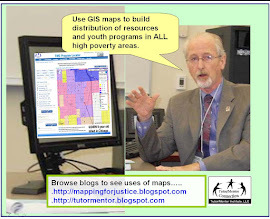 Here's a couple of places where the mapping strategies have been described. Many of the media stories were the result of the conferences I've hosted every six months since 1994. The next is November 4 and will be held at the Metcalfe Federal Building. I hope you can attend and I hope you or others will write about this so we can create new stories and new interest and investment in this strategy. This is a map I created today using Debategraph. This is a way to connect the ideas I share on blogs, and other web sites I manage with a vast world of other people who share concern about the same issues. Maybe you can find a use for this tool, too.